Choosing the right local movers in Charleston, SC can make all the difference between a great experience and a frustrating one. At Smooth Move, we’ll do all we can to make things easy for you. 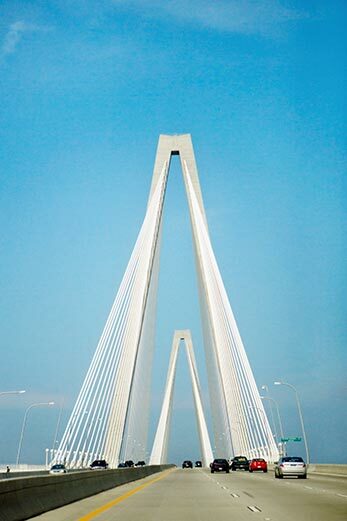 Call us for your next local or long-distance move to get the best rates and service in the Lowcountry. Want to learn more about our moving and storage services? Call Smooth Move to get a free moving quote. 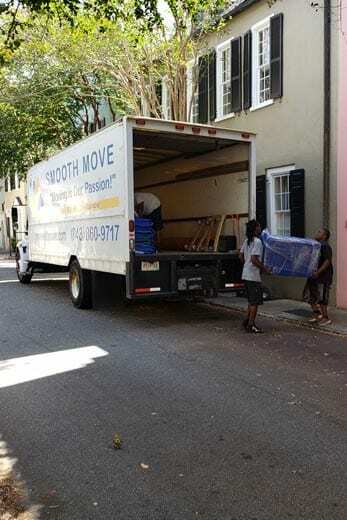 Lots of moving companies will say they can move you to or from Charleston. But how many of them call this their home base? 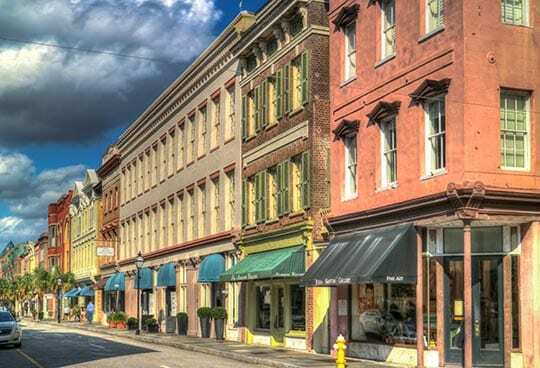 Smooth Move’s team doesn’t just see Charleston as a place to do business; it’s the place we call home. Our movers know how to get around the Charleston area. We know that planning is key when you’re moving to Downtown or Daniel Island. We know the important details that will make your move as easy as possible whether your move is to or from a home in West Ashley or Westside. But it’s not just single-family homes and townhouses. We know apartment moving, too. Call us when you’re moving in or out of the Bees Ferry or Clements Ferry area. Smooth Move doesn’t just do business in Charleston. We believe in being a part of the community. We’re a member of Lowcountry Local First. We’re a multi-year sponsor of the South Carolina Stingrays hockey team. We sponsor the James Island Yacht Club King Mackerel fishing tournament and the Putting for Preston Golf Tournament. We donate in-kind moving services to the Susan G. Komen Lowcountry Race for the Cure and the Dee Norton Child Advocacy Center. We donate to the MUSC Children’s Hospital Burned Children’s Fund. We volunteered at North Charleston Elementary School’s career day.